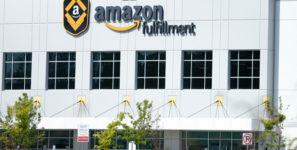 AMAZON: Cities are vying for its $5 billion second headquarters and its expected 50,000 jobs. Cities that didn't make Amazon's Top 20 are asking why. Many US cities are making changes based on why they didn’t make Amazon's Top 20. Cities don't have to do what Amazon said if it isn't right for them, but it pays to listen. Cities across America have been vying for the privilege of hosting Amazon’s $5 billion second headquarters, which is expected to bring with it up to 50,000 high-paying jobs. Back in January the online retailer selected 20 finalists from a list of more than 200 cities that applied. And, as the Wall Street Journal reported, cities that didn’t make the short list—among them Detroit, Cincinnati, and Sacramento—are rushing to make changes based on Amazon’s feedback on where they fell short. Quint Studer said that while every city can’t and shouldn’t reinvent itself to please Amazon or any other corporate giant—by, say, rushing to expand their public transportation system—it is a good idea to seek feedback from potential investors who decided to pass. Of course, you don’t have to listen and act on every criticism you hear, Studer said. Small and mid-size communities may not be right for a huge corporation like Amazon (and vice-versa). But requesting an earnest follow-up conversation with companies that pass on your community is a smart thing to do anyway. Don’t assume every company is looking for a big city or a talent base with a lot of advanced degrees, said Studer. Every community has something to offer the right investor. Have a dashboard. Create a dashboard showing critical, objective metrics, update it regularly, and keep it in front of citizens, businesses, and investors. It will provide concise information about relevant factors like economic performance, well-being of the population, high school graduation rates, and where entrepreneurs are located. (It’s a lot like how the dashboard of a car shows gas, oil, engine performance, temperature, etc.) These metrics will be what attracts investment. They’ll also keep citizens and decision makers mindful of where improvements are needed. So, pay close attention to what is being reported and how it is being presented. Use it to create a compelling story. Does the community have a high graduation rate? Are there a lot of millennials? These are the kinds of data points that can be used to showcase a community’s advantages. And don’t forget about the other factors that don’t show up on a dashboard. Is there a downtown? A great university? Is the community known for its art and culture? Is the cost of living affordable? Know your community’s culture. How is the city or community described by people on the outside looking in? How do residents feel about themselves? Figure out how to sum up this culture and create an “elevator speech” around it. Repeat this message again and again. Talk to people about “managing up” the community to everyone they meet. Managing the messaging around culture is an important part of showcasing a community to investors. Keep young talent from leaving. Businesses want to invest in cities with a young workforce. Studer said this is why it’s so important to create a vibrant downtown. Young people want to be able to work, live, and play in the same location. They like lots of great restaurants, a dynamic nightlife, and cool places to live. Elect and appoint leaders who put the community first. They should be willing to listen to new ideas and make it easy and comfortable for people to do business there. That means ensuring all guidelines, codes, and zoning rules make sense and are clearly spelled out and enforced. Further, leaders should be easily accessible and available to answer questions to assure that decisions about planning and developing are made quickly and efficiently and in the right order. Commit to a zero tolerance policy for shadow deals. A shadow deal is a business transaction in which everybody doesn’t have a fair chance to participate, or one in which motivations are hidden. An example might be a public official who is really pushing for a project because his friend owns a company that would garner work from it. The hidden motivation makes it a shadow deal. Make workforce development a priority. Do everything possible to offer training and support for the business community. When trying to attract new business to the city, it’s important to provide some resources around workforce development. Getting a new business started is one thing. Sustaining it is quite another. Pensacola’s Studer Community Institute offers training and development sessions and small business roundtables for owners. Establish or grow a university presence in the community. This is a big part of creating an educated population, which tends to be important to investors. Even if there isn’t currently a university in town, you can still partner with other colleges to create a local branch, so students can seek higher education closer to home. Focus on culture. Show business that your community or city can do more to help them make a profit. Create a culture that they want to be a part of. (This also attracts talent.) Cultivating a collaborative, creative, appealing, and genuinely thriving community fuels hope and optimism. Get some wealth off the sidelines. Community philanthropy is a really important source of investment. This is all about mobilizing capital with the goal of improving citizens’ lives. Seek out possible sources of benevolent wealth and approach them about investing in the community. These early investors provide cover for those investors who follow later. It’s true that they might make more money other places, but there are other forms of ROI. The satisfaction of helping to build a vibrant community is its own reward. Build and showcase some small wins. Investment follows investment. Success breeds success, just like failure breeds failure. Capitalizing on some early small wins will help get local private investors interested. Diversify, diversity, diversify. It’s easy to have a little success in one area and then focus on that area too much. Healthy economies are based on more than just tourism or just manufacturing or just banking. They need diversity to thrive. So enjoy the successes, but don’t get too complacent and keep trying to replicate the same types of businesses over and over. After you take these steps to attract investors, you will create a ripple effect that brings more investors and philanthropists to your community. In Pensacola, this happened when golf professional Bubba Watson and his wife, ex-WNBA player Angie Watson, saw the revitalization happening and wanted to be a part of it. They moved to Pensacola and invested in businesses: a baseball team, a candy store, apartments, an office building, and a car dealership.